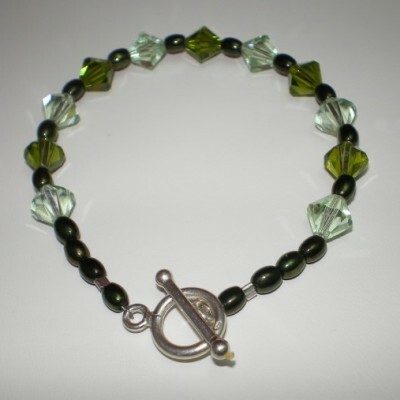 Bead woven 7 1/2″ Long Bracelet made with green seed beads and green Swarovski Crystals. 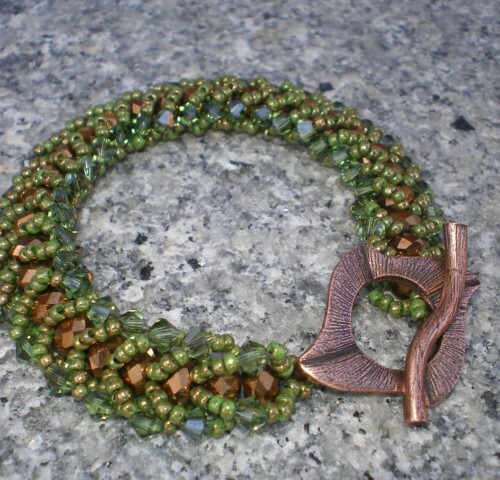 With copper 4×6 fire polished beads intertwined in the pattern. 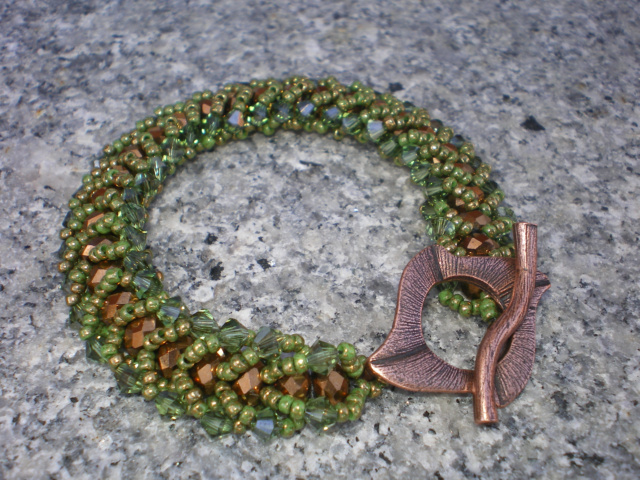 Copper wavy toggle clasp. 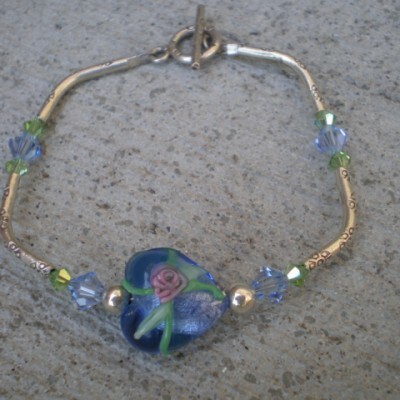 58 swarovski crystals in this bracelet. 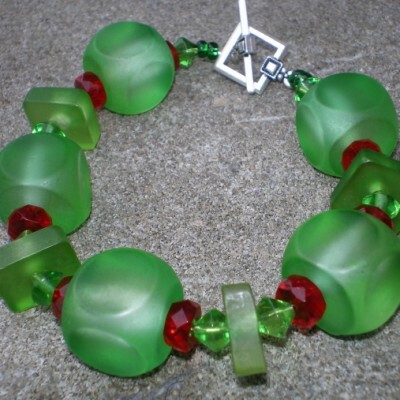 Be the first to review “Green Flat Spiral Bracelet” Click here to cancel reply.